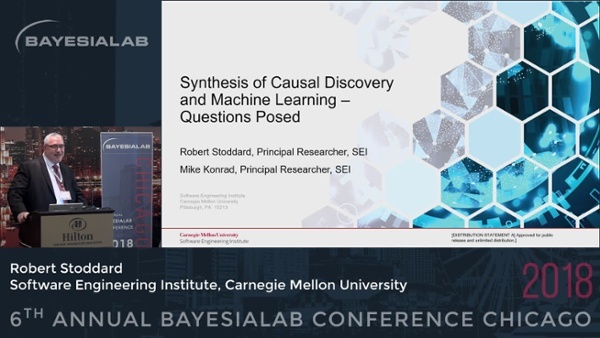 Fundamental research at the Software Engineering Institute at Carnegie Mellon University has raised questions surrounding the synthesis of both causal discovery and machine learning. Specifically, our research team has employed both the CMU open source tool called Tetrad (for causal graph discovery from data), and BayesiaLab for supervised/unsupervised machine learning. This talk will briefly orient the audience to the Tetrad causal discovery process, share some contrasting results and pose a list of open research questions regarding potential synergy of the two technologies.